1) Provide your reps with a list of the strengths and weaknesses of the products or services your company sells. You need to have a training program that gives them information as to not only what your products or services do, but also why customers should part with their valuable money to buy them. 2) Provide your reps with a list of the strengths and weaknesses of your competitors. You know who your competitors are. And, you also know your competition’s strengths and weaknesses. Your sales reps need to understand this info cold! If you don’t have this info written down, have your sales reps dig out the information on their own. 3) Provide you reps with a list of your customers and the specific purchases they have made and other key information about their purchase(s). Have the reps analyze who is buying from you. This will help them identify and target other prospects in the same or similar industry. Remember in selling, a rifle shot can be far more effective than a scatter gun approach. After one week on the job, give the new sales rep a prepared test to see if they have competent knowledge of the above 3 categories. If they don’t have this knowledge, terminate them! I know this sounds harsh, but this is precisely what we did when I was an instructor at Xerox’s International Center for Training and Management Development. If a new rep doesn’t show initial commitment to learning what he/she will need to be successful, they won’t end up being a winner for your company. Paul has extensive experience in startup and small business operations. He was the founder and president of three highly profitable companies after working his way through Xerox's management structure. 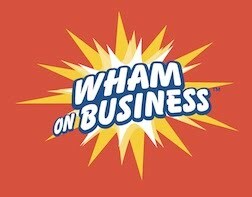 He hosted "Wham on Business," a radio show broadcast throughout the Pacific Northwest and has been involved in entrepreneurial efforts for most of his adult life. Paul has attended the executive education programs at Harvard and Stanford and has also been an adjunct professor at multiple universities in the Northwest. His passion now lies in teaching others the key lessons he's learned throughout his career.